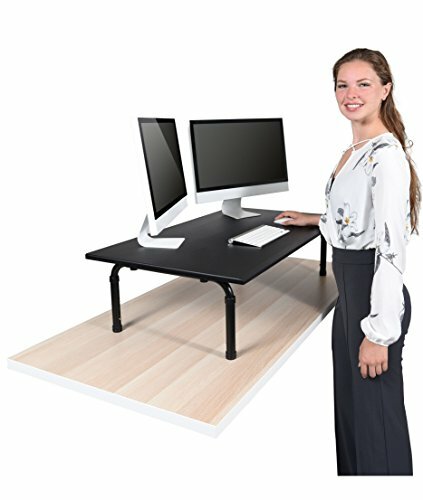 Convert: Whatever your workspace looks like, the 42" Desktop Desk is an easy, cost effective solution for converting it into a standing workstation. Flexible: Even at a spacious 42 inches, the Desktop Desk is highly portable and easily adjusts heights. Productive: Standing desks perfect for staying alert and sharp throughout the workday. Healthy: Immediately enjoy the health benefits of standing and combat the effects of sitting disease. Assembly: Your standing desk is assembled in minutes with only 8 screws (included).